One of the most popular Croatian lifestyle portals, journal.hr, has made a complete list of things to do in Dubrovnik. What to visit in Dubrovnik, where to eat, what are top things to see in the city recognized as a Mediterranean jewel; the city that is the attractive filming location for Games of Thrones; the city famous for its beaches, cultural summer, luxury hotels, as well as the surrounding archipelago. Here are the most interesting things from the list that might be useful to help you to decide what to visit in Dubrovnik. The Dubrovnik Summer Festival is definitely one of the most significant cultural events in the country. During the period from July 10 to August 25, Dubrovnik is transformed into a unique stage for culture and art. During the 69th edition of the festival you can enjoy theatre, music, opera and dance performances by 2000 artists from all over the world at 20 locations around the city. It is worth noting that that all pieces performed in Croatian offer an English translation, so it should definitely be on your list “what to visit in Dubrovnik”. During walks around the city, you will enjoy beautiful views – but the view from atop of Srđ hill is breathtaking. After a few minutes’ ride with the cable car you will be on Srđ and have the perfect viewpoint of the Old Town, the crystal-clear Adriatic Sea and numerous islands. Apart from a wonderful view, you will find a place to relax at the end of the day. 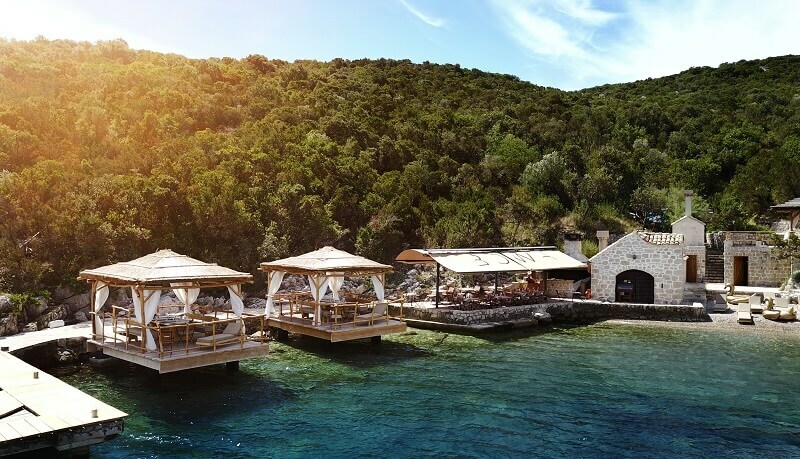 This idyllic island is just 600 meters from the Dubrovnik coast. Here you will be able to relax in the shade of the many trees and enjoy the scent of the Mediterranean herbs that are around you with every step. On Lokrum island is found the first in a series of Benedictine monasteries, this one with its legend of the Benedictine curse. A day trip to the island is a great experience. The island of Sipan belongs to the group of Elaphite islands, the archipelago closest to Dubrovnik. On this the largest island of this group, though only sixteen square kilometres, you will find BOWA paradise. BOWA is the place to which no one can be indifferent – the ambience of pristine nature, the azure blue sea with a private beach and the offer of phenomenal gastronomic delights. Make your reservation now and give yourself a time to remember. Dubrovnik and BOWA are waiting for you!